New Fabergé Museum Opens in Russia, an eye-witness account of “The Link of Times” Collection owned by Viktor Vekselberg. MAP NOT LOADING? CLICK HERE TO OPEN IT IN A NEW BROWSER WINDOW. 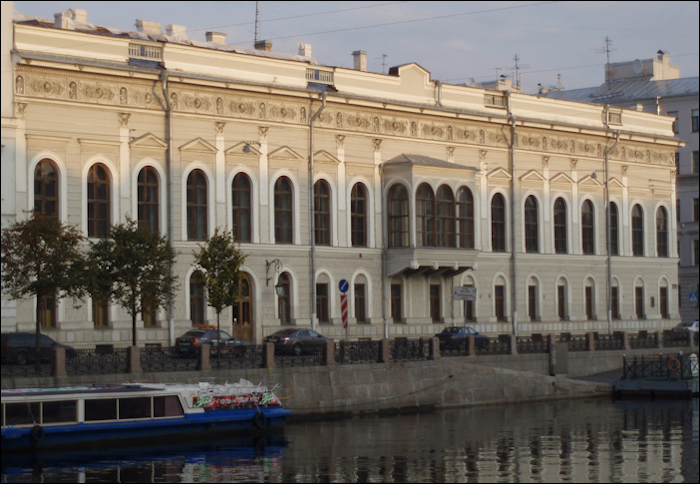 The use of the St. Petersburg Fabergé Museum facilities for the two day symposium has been donated at no cost to attendees through the generosity of the Board of Directors of “The Link of Times” Foundation. The use of the state-of-the-art facilities of the former palace of Prince Alexander Bezborodko has been donated for the Russian Dinner event. The immense amount of planning for the St. Petersburg event is being handled on a voluntary basis by 18 members of the Soroptomist International – Neva Club. The club members help support the Masha Orphanage in St. Petersburg where 17 girls (ages 5-15) reside. In lieu of an admission fee, a minimum donation of €100 is suggested to cover associated event supplies, and to support the group’s Masha Orphanage Project. Additional sponsorships of any of the symposium components are most welcome, and will be recognized at the event. Contacts – in Russia: Galina Korneva and in the United States: Christel McCanless.